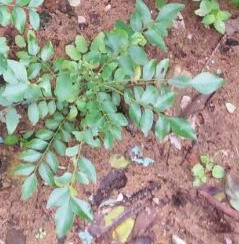 India 2 October 2016: Curry leaves (Kadi patta) are commonly used as a seasoning ingredient in many dishes as it adds an amazing flavor to the food. 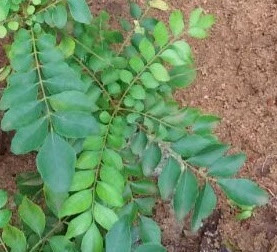 For ages curry leaves have been used in many homes as a home remedy for many health problems like hair loss, diabetes, weight loss,blood pressure, acne, indigestion, anemia etc. 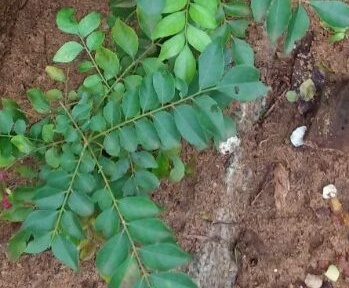 Curry leaves (Kadi patta) are widely used in ayurveda medicines. 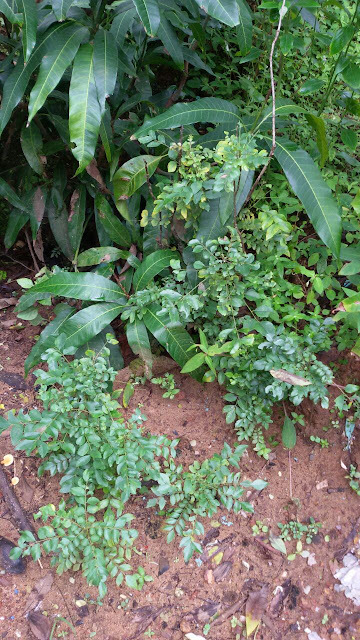 Murraya Koenigii Spreng is the scientific name of the curry plant and it belongs to the Rutaceae family. 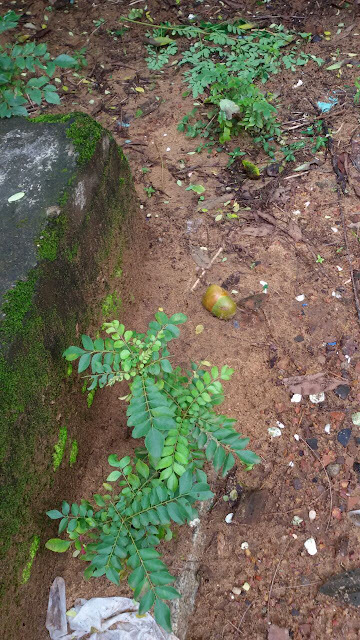 The curry plant is native to India and is usually found in tropical and subtropical regions. 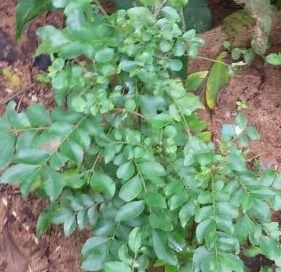 In English it is called Curry leaves and curry leaves are commonly known as kadi patta in hindi and marathi, Kāri pātā in bengali, Karī pattā In gujrati, Karivēpāku in telugu, kaṟivēppila in malayalam and tamil. Curry leaves are loaded with a lot of essential nutrients. 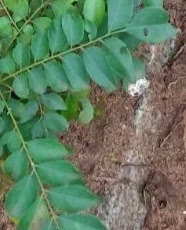 Some of the essential nutrients present in curry leaves are copper, minerals, calcium, phosphorous, fiber, carbohydrates, energy, magnesium and iron. Curry leaves are also rich in vitamins like vitamin A, B, C and E and amino acids. Anemia is a condition in which there is a deficit of iron in the body which is caused by the inability of the body to absorb iron. 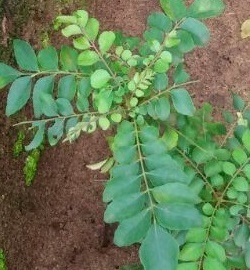 Kadi patta or curry leaves are a rich source of iron and folic acid. Folic acid plays a vital role in absorption of iron in the body. 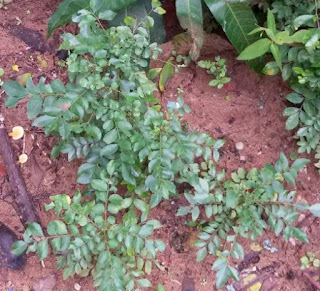 As kadi patta is a rich source of both the compounds, this makes kadi Patta an amazing natural remedy to beat anaemia. Daily eat one date (khajoor) with two kadi patta leaves on an empty stomach in the morning to cure Anemia. Habits like heavy drinking, eating a lot of fish or indulge in other activities cause damage to your liver. 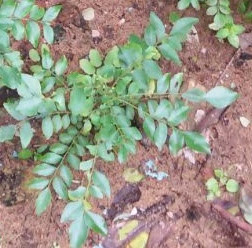 Curry leaves or kadi patta is especially beneficial to you. As per research curry leaves help in protecting your liver from oxidative stress and harmful toxins which build-up in your body. All this is possible because of the presence of kaempferol which is a potent antioxidant present in curry leaves. When kaempferol combines with vitamin A and C it helps in protecting the liver and promotes efficient functioning of the liver. To make a quick liver detox at home you need to slightly heat one tablespoon spoon of ghee, add a cup of curry leaves juice, a teaspoon of sugar and a pinch of black pepper. Just heat this mixture slightly and not much. Take this mixture to clear your liver of all the toxins. Curry leaves help in managing your blood sugar levels by affecting the insulin activity in the body. Also curry leaves are loaded in fiber which plays a vital role in managing your blood sugar levels. Curry leaves are also known to promote digestion and help you lose weight by altering the way your body absorbs fat. To manage your blood sugars, make sure you add curry leaves to all the food you have. Daily eating fresh curry leaves on an empty stomach also is beneficial in managing your blood sugar levels. Curry leaves are said to have properties which help in lowering blood cholesterol levels. Curry leaves are loaded with antioxidants which work to prevent the oxidation of cholesterol and increase the good cholesterol levels (HDL) in the blood and protects you from heart disease and atherosclerosis. Curry leaves are very effective in treating indigestion, as curry leaves are known to be carminative in nature. Curry leaves also aid in the digestion process and in excretion as they are loaded with fiber. Curry leaves are said to have mild laxative properties which help the stomach to get rid of unwanted waste and balances out the pitta levels in the body. Contaminated food or water can transmit bacteria and parasites to your body which are the cause of diarrhoea. 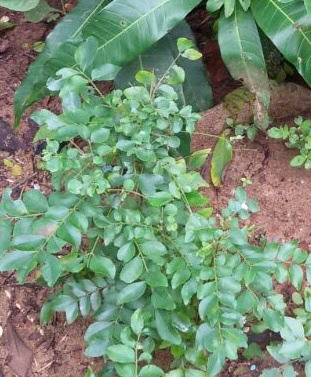 Curry leaves are very effective in treating diarrhoea as they contain carbazole alkaloid that posses antibacterial and anti-inflammatory properties which help in fighting these bacteria and provide relief from an upset stomach. Curry leaves are also known to balance out the pitta levels in the body. 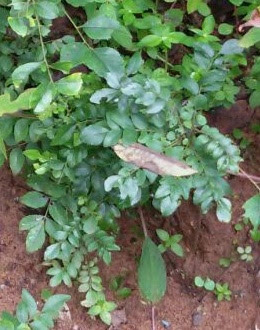 An amazing home remedy to get relief from diarrhoea is to gently crush some curry leaves and shape them into a small ball and consume it with some buttermilk. You need to take it twice to thrice a day for getting relief. Chemotherapy and radiotherapy have a lot of side effects on your body. As per a study curry leaves protect the body from the side effects caused by chemotherapy and radiotherapy. Curry leaves protect the chromosomes from damage caused by chemotherapy. It also protects the bone marrow and stops the production of free radicals in the body. For ages curry leaves have been used as an home remedy to reduce congestion in the chest and nose. Curry leaves are loaded in vitamin C, A and antioxidants which have anti-inflammatory, decongestant and antioxidative properties. Curry leaves also help in loosening up and releasing congested mucous in the chest and nose. To make this amazing home remedy for reducing congestion in the chest and nose, you need to take a tablespoon of powdered curry leaves and to it add a tablespoon of honey. Mix these two together to make a paste and consume this mixture twice a day to reduce congestion in the chest and nose. It won’t make you instantly shed pounds, but curry leaves aid in losing weight by improving your digestion. A good functioning of digestive system is the key to losing weight naturally. Also having curry leaf soup, tea or juice will help to detox your body by removing all the impurities present in the body. Curry leaves are known to have antibacterial properties which help in fighting bacteria and infections. 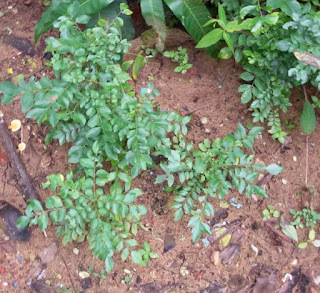 Applying a paste made from crushing a few curry leaves on the wounds helps in fighting bacteria and infection on the wound and helps in curing the wound faster. Curry leaves are rich in vitamin A which is needed to maintain good eyesight. Carotenoids a type of Vitamin A is present in curry leaves which protect the cornea. Deficiency of vitamin A leads to a condition like night blindness, cloud formations in front of the eye and even the loss of vision loss in some cases. Curry leaves are beneficial for hair because, It helps in repairing the damaged roots of the hair. It helps in preventing hair fall by strengthening the roots. 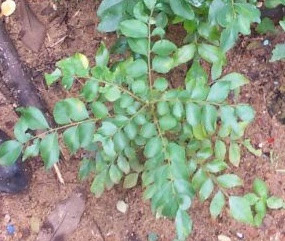 Curry leaves promotes hair growth by providing with essential nutrients. It helps in maintaining the hair colour and hence is an important ingredient in many natural hair color products. To get the benefits of curry leaves for hair you can use it by making a hair tonic and a hair mask. How to make curry leaves hair tonic ? •Take a mixing bowl and add some fresh curry leaves and add some coconut oil to it. •Heat this curry leave mixture till a black residue is formed. •Now keep this mixture aside till it cools. •Now apply this mixture on your scalp. •Let this mixture sit in your hair for one hour and later rinse your hair with cold water and use a mild shampoo. •Apply this mixture two times a week and you should see improvements in your hairs condition after twenty days. 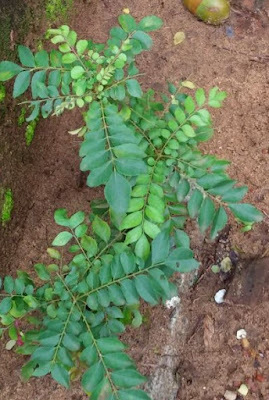 How to make curry leaves hair mask ? 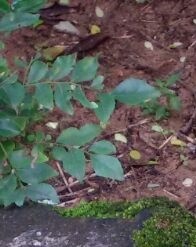 •Take some curry leaves and grind it using a little water. To form a thick paste. •Add some sour curd or yoghurt and then apply it on your hair. •Keep this mixture for about half an hour and then wash it with cold water and shampoo. •For best results use this curry leaves hair mask three times a week. •You will start seeing results in a month’s time. This curry leaves hair mask will promote hair growth and make your hair smooth and shiny. Curry leaves are amazing to keep your skin healthy as It removes all the dirt and impurities present in the skin, leaving your skin feeling fresh and glowing. Curry leaves has the ability to remove excess oil from the skin. It aids in preventing the breakout of acnes and pimples. You can enjoy the benefits of curry leaves for healthy skin by making a paste of it or by using it to make a face pack. How to Use curry leaves to get rid of acne? •In a grinder, grind a few curry leaves with some water, turmeric and lemon juice. •Grind it to form a smooth paste. •Apply this paste on the acne affected skin directly. •Let it sit there for 30 minutes and then rinse it using cold water. •Use this paste thrice a week to get rid of acne naturally. How to make a curry leaves face mask? •For making this face mask take some curry leaves and dry them in the sun. •Grind the dried curry leaves to form a fine powder. •In a small mixing bowl, Mix the curry leaves powder with some lemon juice and rose water. •Apply this mixture on your face and neck like a face pack. •Let the curry leaves face pack sit there for about 30 minutes and then rinse with cold water. •Apply this face pack every alternate day for best results.